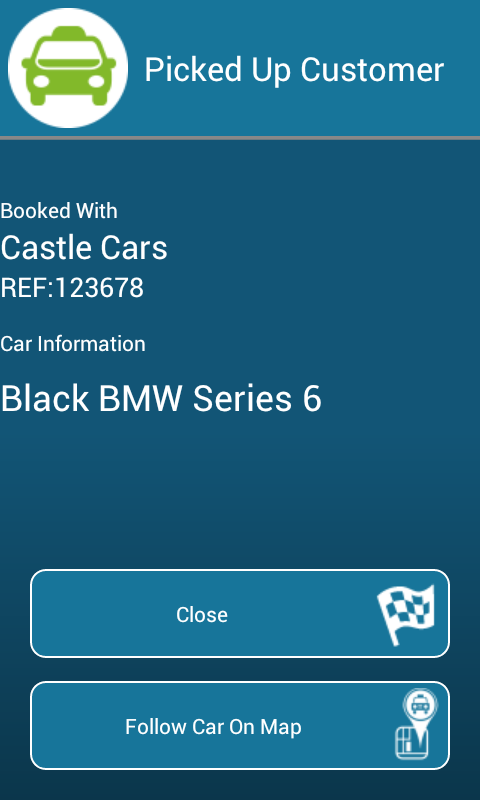 Castle Cars (Banbury) Ltds’ iPhone and Android apps are fully integrated with our live booking system, all taxis booked via one of our apps go straight into the system and can be dispatched automatically, saving you valuable time. With just a few taps on your iPhone or Android device you can book a taxi. GPS can locate your position to determine your pick-up point. The apps also allows you to enter your full pick-up and drop-off address for a booking, including special instructions and vehicle preference. You can also get a quotation of the estimated fare for your journey and, once the taxi is dispatched, you can track its progress in real time, on a map, on your iPhone or Android device. Once the booking is confirmed and when the taxi arrives to pick you up, you will receive an automatic text message. You can also create a list of your favorite locations in the app, which can further speed up the booking process. These ‘Favorite Locations’ are reflected both in the apps and in your online account for creating bookings via our website. Your past jobs using any of the Web Booking system are also listed in the apps – so you can review your booking history from your iPhone or Android device.